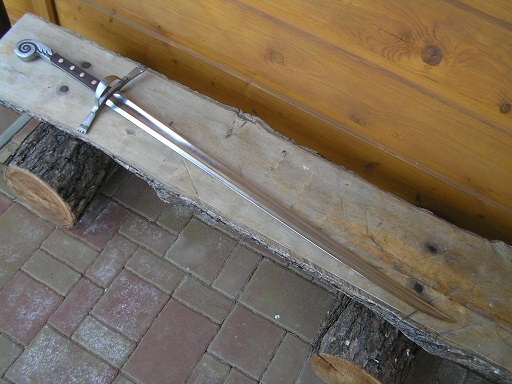 I seem to allways be, buying/selling/tradeing ,my swords.I never seem to hold on to a sword, for years, like others. I guess I get bored.Do any of you, have the same tendencies?Or do you tend, to hang on to a sword,for the long haul? I think I know what you mean. There is nothing like the thrill of unwrapping a new one and cleaning it for the first time. There are some swords that I have developed a deep attachment to and hope to be buried with (that's not altogether a joke). 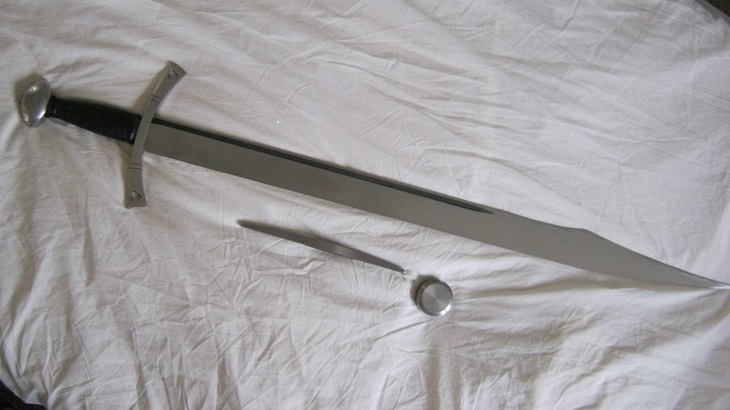 However there are other swords that I like but just don't seem to take hold of me in the same way. Funny thing is I can't seem to tell which it will be until I've owned it for a while, although I am noticing certain patterns having gone through more than 20! So based on past experience I will probably end up trading/selling/giving 2//3 of my purchases away in the long run. Looks great Karl! You've got a nice spread of time periods there! I had a period where I bought, sold, traded all the time. It was actually a great way to learn about the handling and feel of many different swords. I've slowed down on the selling and trading because I'm pretty sure of what I like now. I have a few pieces left to sell but it can wait. I do have a few favorites that I would never sell. I'm in the process of getting scabbards for my swords, but it seems that the wait on a scabbard is longer than that for a sword! I have finally reached a point where I can say that just about every sword I have now is a keeper, and I am as satisfied with my collection as I have ever been. 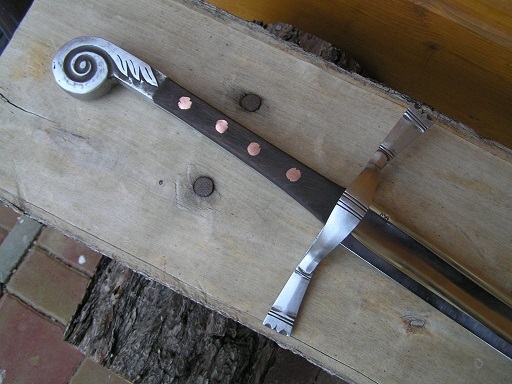 There are only perhaps 3 swords on the production market which I really would like to add to it, and I have 3 pieced-together custom projects which I am working on which will eventually be added. I would of course start collecting high end custom pieces if I could afford it, but I can't, and I have managed to not get bitten by that bug so far. I'm just about at the point where I have to do a one out before a new one in - due to the family responsibilities and finances. You've probably already seen this. My collection has reached a point where there is less buying and selling than in the past. That's partly because I really like what I have and partly because I have no money. There are plenty of things on my wish list, but very little that would bump something I currently have out of the picture. Mine is in a constant state of flux. My colection is like a black hole in two ways: money and arms go in...nothing comes out!! Mine tends to grow quickly as I get interested in a new area of study than contract slowly as I see which of the newly acquired pieces resonate with me and which do not. There is a very small number that remain constant and would be the last to go if some financial crisis were to force me to sell off everything. I'm not entirely sure what that is supposed to be, historically-speaking, but I do know this: it's awesome. Looks like it's going to be fun! Funny, I saw some similar pommel shapes on falchions/messers in some 15th century french illuminations. Very unique piece, take care of it! I guess you could call it a fantasy kreigsmesser. But I`am gone call it "Tail of the Comet"....or Lucy. I've formed the impression that you're more excited by the process of creation and acquisition than the fact of accumulation. There's certainly nothing wrong with that.